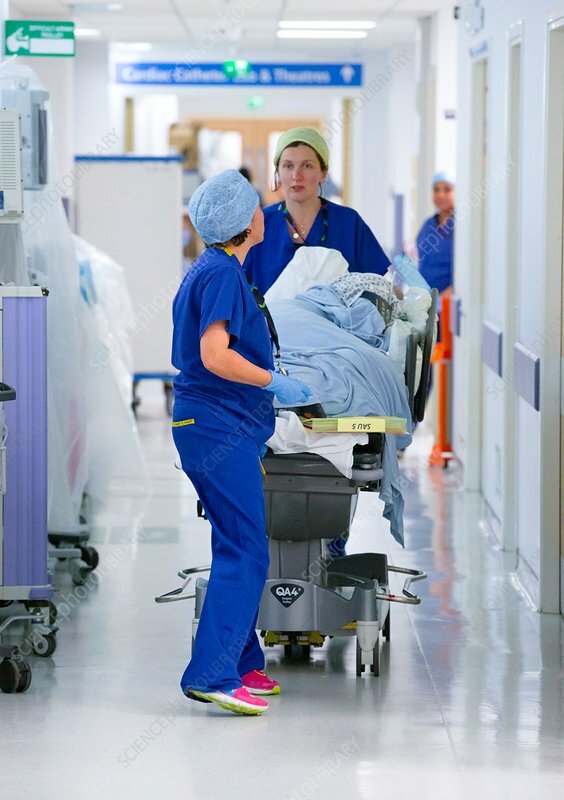 Surgical staff and patient in a hospital corridor, with the patient being wheeled along in a bed. This area of the hospital is used for cardiac surgery. Photographed in the UK.